As a result of the continuation funding secured from the Discover England Fund, managed by VisitEngland work is now underway to stage the English Riviera’s first major Seafood FEAST (Festival) in Autumn 2018. Anna Trant has been appointed as Festival Coordinator and is currently meeting with local Food and Drink Businesses to discuss the many exciting opportunities of working together. 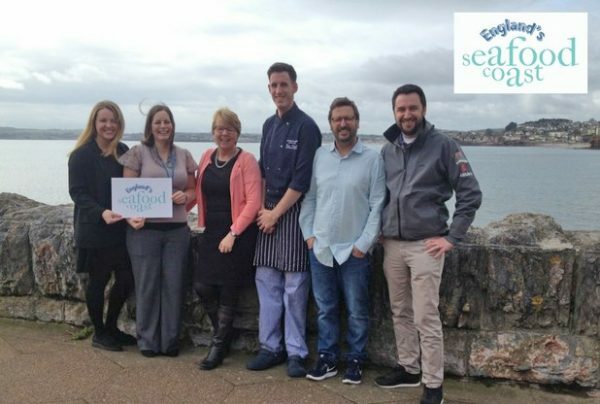 Following a comprehensive six month research project, the English Riviera BID Company has successfully secured an additional £100,000 from the Discover England Fund, to continue the England’s Seafood Coast project for a further 12 months. England’s Seafood Coast is one of a number of projects to benefit from the Discover England Fund. The Fund is administered by VisitEngland and is a central government funded programme of activity, supported by match funding from partners in the public and private sector. The project to date has engaged with over 200 local tourism businesses and organisations to map the full potential of England’s Seafood Coast. The England Seafood Coast brand has strong links to local food and drink, walking, heritage and culture and has been identified as having global appeal. A new programme of work will now commence working in partnership with local businesses to develop and promote new products to specifically target international markets in Germany, Scandinavia, and Holland, as well as plans to also develop a new International England’s Seafood Coast Festival.